There is nothing like experiencing nature’s beauty and forgetting about the stresses of the “real world.” Camping is great, except for when you wake up the next morning with an awful backache because you slept on a rock. Or the food that you made over your tiny camping stove was subpar, and your stomach is left rumbling. Or if there are even showers at your campsite, the frigid water that comes from the pipes chills your bones. Many people are very fond of camping but others would prefer a little more luxury in their lives. That is where glamping comes into play. Glamping or “glamour-camping” puts a new twist on camping that makes it even more enjoyable for everyone. The Ranch at Desert Mountain offers the perfect glamping option. 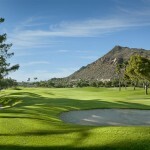 Tucked in North Scottsdale, The Ranch is an oasis within Desert Mountain. 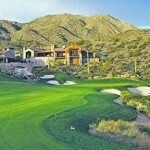 The Ranch is at the base of the Continental Mountains with beautiful views of the Tonto National Forest. Imagine camping but with every luxury amenity you could possibly want. The Ranch provides canvas tents with beautiful hardwood floors and a giant, comfy bed. But it doesn’t stop there. There is a bathtub and shower with running hot and cold water and delicious meals prepared by a professional chef. Enjoy toasting marshmallows and warming your fingers by a crackling fire pit. 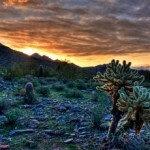 Glamping in Scottsdale is perfect for the whole family. 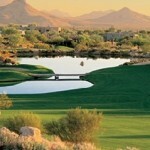 Desert Mountain is a great place to have the best of nature and luxury. 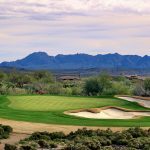 If you are interested in seeing homes in Desert Mountain, contact me at (602)791-0536 or email Carmen@TopScottsdaleHomes.com, and we can schedule a showing.